The Player: Necromance-for-hire Dante Valentine is choosy about her jobs. Hot-tempered and with nerves of steel, she can raise the dead like nobody's business. But one rainy Monday morning, everything goes straight to hell. 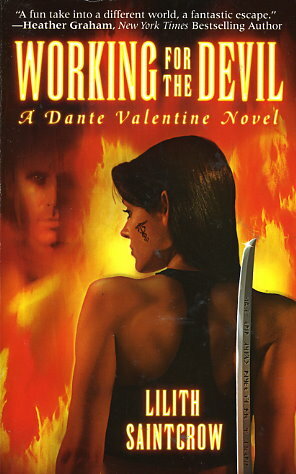 The Score: The Devil hires Dante to eliminate a renegade demon: Vardimal Santino. In return, he will let her live. It's an offer she can't refuse.